APPEARANCE: Dark Amber/ Red color with med-high carbonation. NOSE: Bitter pine hop aroma with a sweet caramel end. MOUTHFEEL: Carbonation washes easily over the tongue and has a full-bodied finish. TASTE: Flavors of toasted bread are highly present. Finishes slightly bitter with a hint of sweet raisin but well balanced. FOOD PAIRINGS: Nuts and creamy cheeses. Most roasted dishes. Cheesecake or fall pies (pumpkin, pecan, sweet potato, etc,). INSPIRATION: This high gravity, Imperial Red Ale was created with fall in mind. Everyone’s favorite season needs a new favorite beer. It’s best enjoyed on the patio after a hike or bike ride around town or in the North Georgia mountains. Grab a growler to share with friends around a campfire. 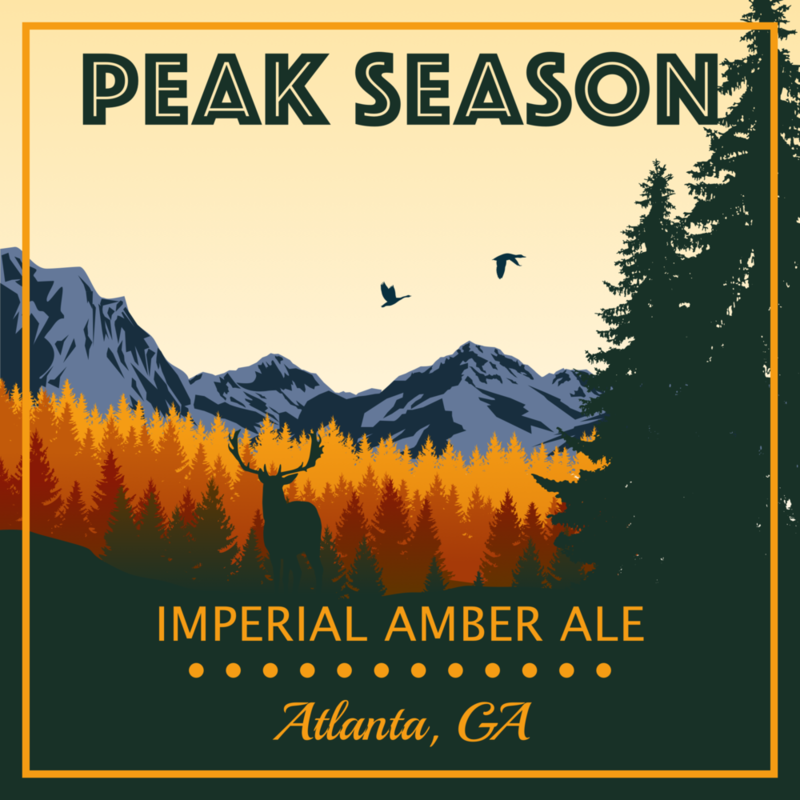 Peak Season is the perfect season.